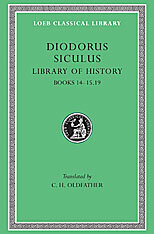 Diodorus Siculus, Greek historian of Agyrium in Sicily, ca. 80–20 BCE, wrote forty books of world history, called Library of History, in three parts: mythical history of peoples, non-Greek and Greek, to the Trojan War; history to Alexander’s death (323 BCE); and history to 54 BCE. Of this we have complete Books 1–5 (Egyptians, Assyrians, Ethiopians, Greeks); Books 11–20 (Greek history 480–302 BCE); and fragments of the rest. He was an uncritical compiler, but used good sources and reproduced them faithfully. He is valuable for details unrecorded elsewhere, and as evidence for works now lost, especially writings of Ephorus, Apollodorus, Agatharchides, Philistus, and Timaeus. 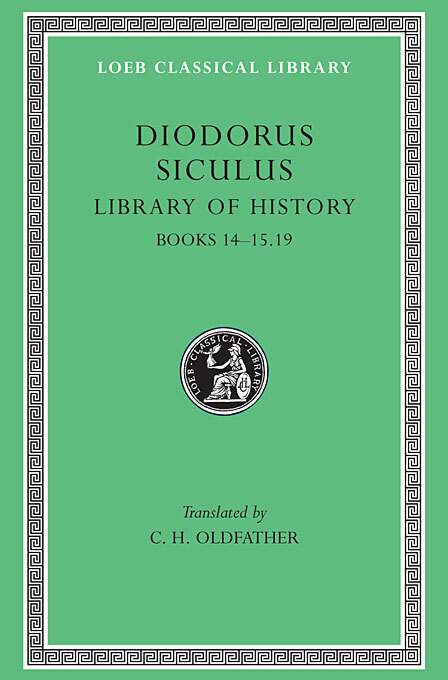 The Loeb Classical Library edition of Diodorus Siculus is in twelve volumes.